AWESOME BOOK! Nails it! Perfectly captures why Bernie Sanders supporters are baffled by the non-democracy of the Democratic Party. 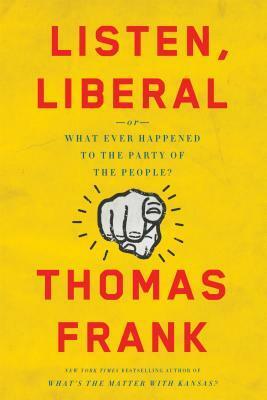 It USED TO BE the Party of the People, but it turned it’s back years ago, and did so deliberately, as one of my now favorite authors describes in this book. I have been saying similar things about WTF has happened to the democratic party I have voted for all my life. Yes sometimes the lesser of two evils, but I always thought fundamentally the commitment to workers and social justice were the values of the party. So I was truly shocked, but kind of not surprised to learn that Hillary had been a Goldwater supporter back in the day. Yeah, yeah, don’t get in my face, people can change. But I’m not sure she did or if she just calculated the odds of achieving her ambition to become the first woman president was absolutely more likely in a democratic party, never the republicans. 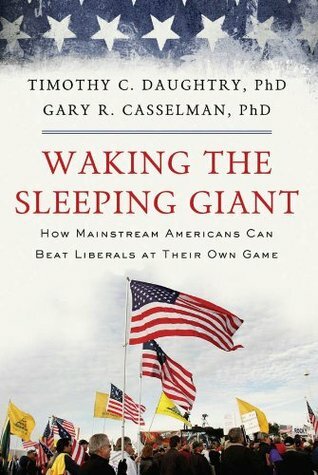 It has never been more obvious than this 2016 election that the process of presidential nominees has been a queue of people who tow the line of the real power behind the politicians, financial and corporate donors. The author page at Amazon link is here. 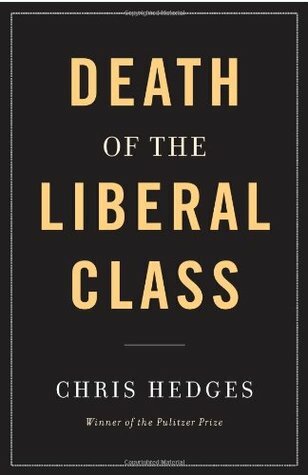 He has written a number of good books and online at TruthDig.com where he lays it all out with a passionate intensity. Love that! He also is extremely cynical (for good reasons) and very sharp in his critiques of the status quo. In this book, it begins with a quote by the author who is probably my favorite author of all time, George Orwell.